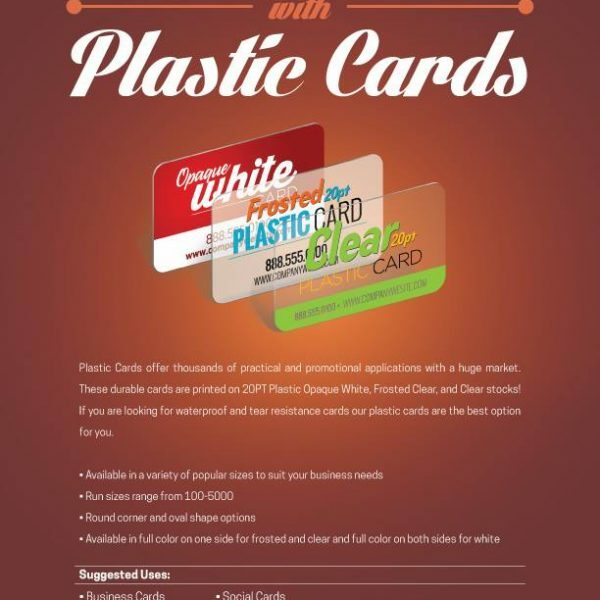 Plastic Cards offer thousands of practical and promotional applications with a huge market. These durable cards are printed on 20pt Plastic. 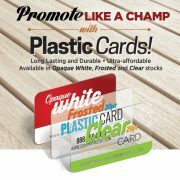 Available in Opaque White, Frosted Clear and Clear Stocks! 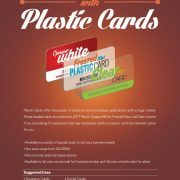 If you’re looking for waterproof and tear resistance cards these cards are the best option for you.